Fashion trends are changing constantly. Styles and looks become old in a matter of months. In such a rapidly changing space, its a challenge for fashion models, stylists, photographers to showcase their work and themselves through a stylish and modern website that doesn't feel jaded. 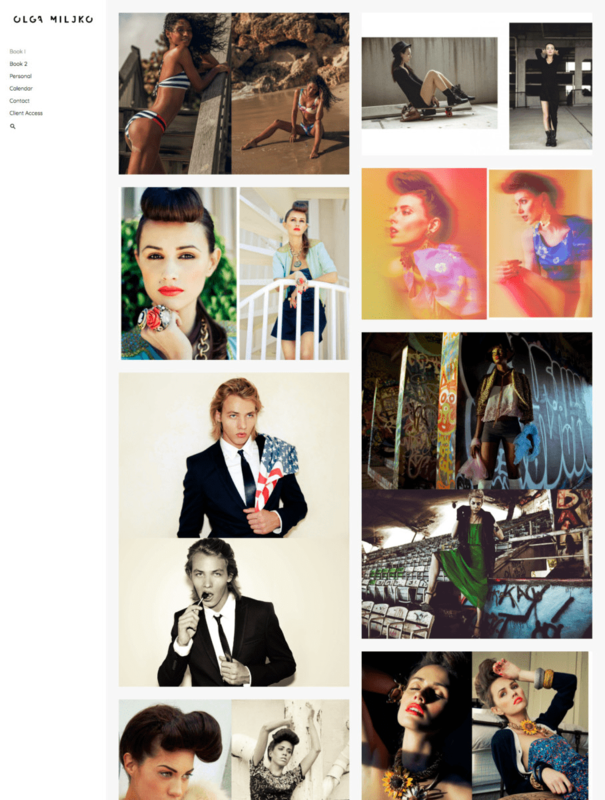 The key to a great fashion portfolio website is ofcourse to keep it fresh and new. Constantly adding images and work and changing the presentation style is the way to go. Treat your website almost like your Instagram feed - your visitors want to see something new everytime they visit. 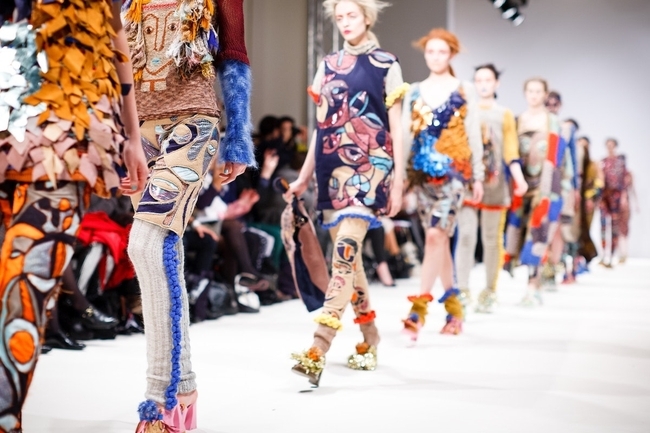 We have rounded up a list of 15 awesome fashion portfolio websites built on Pixpa. 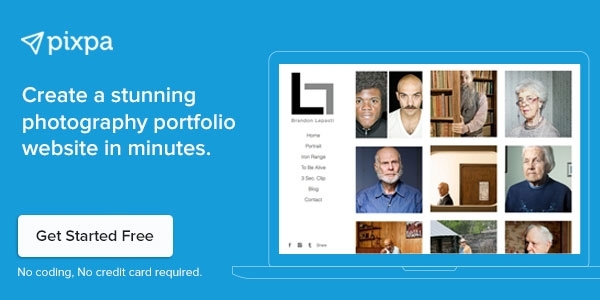 Have a look at them and get some inspiration if you are looking to build your own portfolio. 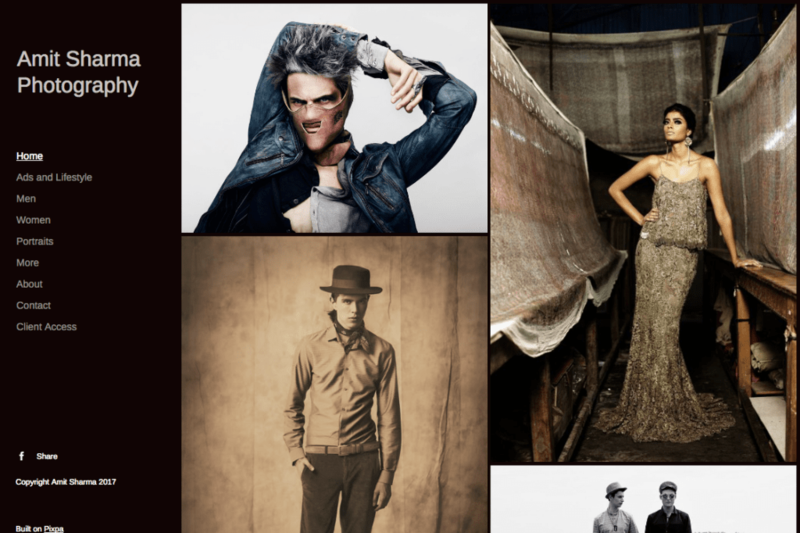 Rodrigo Paiva is a Sao Paulo-based photographer and has one of the best fashion portfolio websites. His work in photography spans across journalism, advertising, and fashion. From the runways of some of the world’s most popular fashion shows to supermodels of the stature of Gisele Bundchen, Rodrigo has taken photographs of all! Indrajeet has worked and trained under renowned names in the field of photography. Kunaal Bose is a New Delhi- based lifestyle and fashion photographer. His portfolio showcases a mix of the magazine covers that have his photographs on them and other pictures. This instantly establishes a connection with a visitor looking at the portfolio, telling him (her) about his popularity. So if you have any photographs published in a magazine, make sure that you add it to your website as it appears in the magazine. Kunaal describes himself as a passionate traveler, and as per him, he works to pay his travel bills. Ashish Chawla has worked with some of the A-listers in the fashion Industry. His photographs have graced the covers of fashion & lifestyle magazines such as Femina, Sports Illustrated, Good Housekeeping among others. His intermittent stints in advertising include taking photographs for Honda, Tag Heuer, Sony, Samsung, Revlon and more. Amit Sharma is a photographer based in Delhi, working mainly in the field of lifestyle, fashion, portraiture and travel. His work regularly gets featured in the country's leading fashion and lifestyle magazines as well as multinational brands. Tim has delved into travel, food, and interior photography besides fashion photography. His portfolio is a combination of his best fashion photographs taken for editorials and an online store through which he sells prints. If you are looking to sell prints on your fashion photography portfolio take ideas from here. Tejal Pandey is a Mumbai-based independent fashion photographer. Her clientele includes celebrity chef Manu Chandra, acclaimed Filmmaker Dibakar Banerjee among others, in addition to fashion photography projects. Tejal’s fashion photography portfolio is simplistic in design with the white-colored text that pops against the black-hued background of the portfolio. Angela is an Italian photographer based in London. 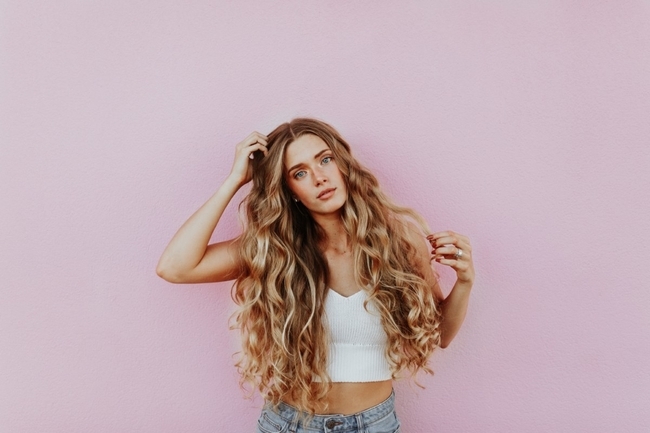 She is a complete fashion aficionado and professes her love for contemporary photography with her blog and prides herself on knowing the fashion industry inside out. Manpreet is a Canada-based fashion photographer. He trained under India’s first Hasselblad master Tarun Khiwal and like his master he has created his own distinct style of photography. 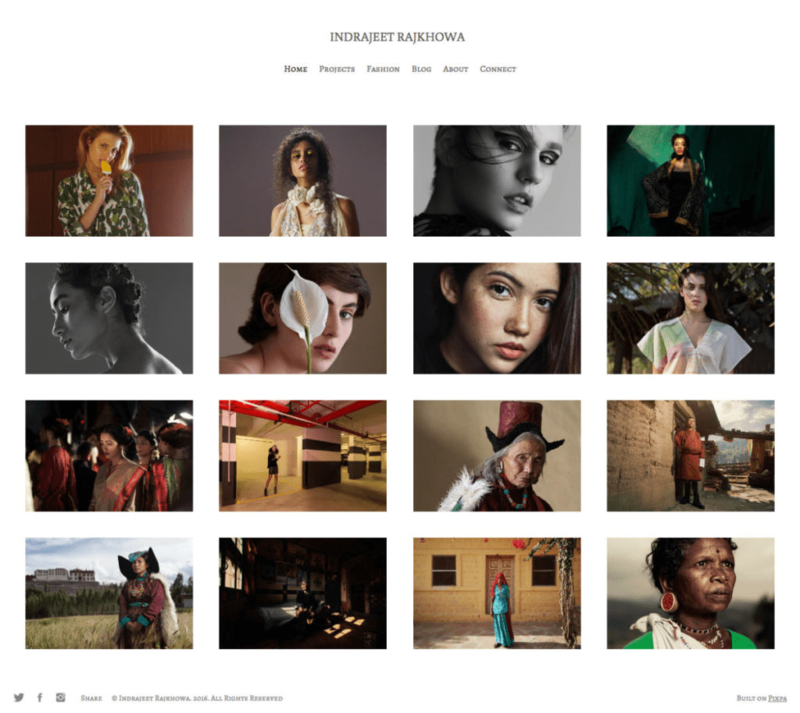 The Pinterest-style homepage that showcases his work in fashion and portraiture photography and the clear menu on top of the website makes it easy for a visitor to navigate through his portfolio. Johann is a Spanish photographer, who currently resides in Barcelona. His fashion photography portfolio is dominated by B&W fashion photographs that apparently characterize his style of photography. His biography where he explains creativity as an art of self-expression adds immense value to his portfolio website. 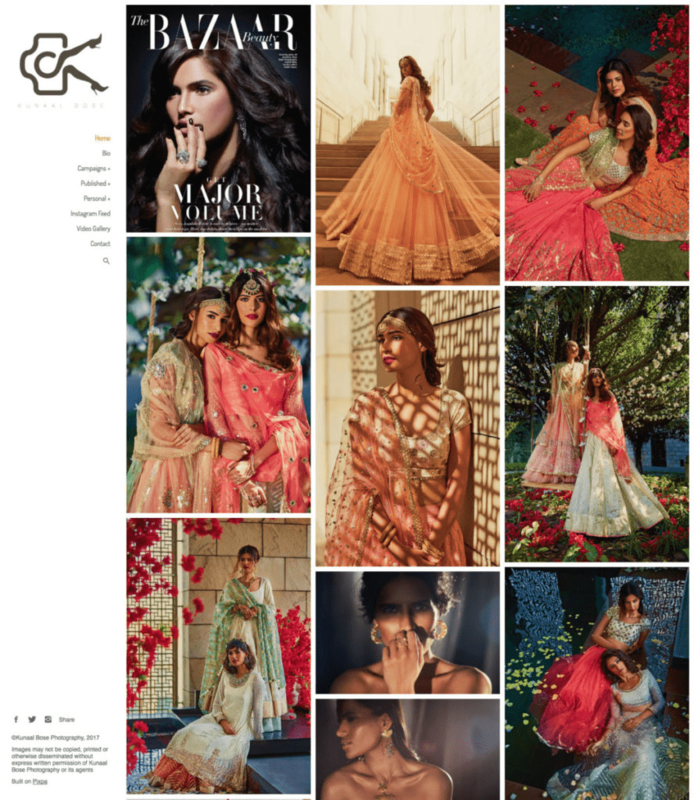 Aneev Rao is another Mumbai-based portrait and fashion photographer on this list of fashion photography portfolios. His photographs have appeared on the covers of some of the most popular fashion magazines such as Grazia, Harper’s Bazaar, Cosmopolitan, Femina and more. A seemingly endless scroll of high-res photographs makes his fashion photography portfolio attractive! Olga Miljko is a Florida-based freelance fashion photographer. She has an amazing fashion photography portfolio. It is a collection of fashion photographs taken for various editorial and advertising purposes. Though Mariana Perrera is an event and commercial photographer, she takes up fashion photography quite frequently. Her fashion photography portfolio has some stunning portraits of models posing with complete grace. Visit her portfolio website to know more about her and see her amazing work. She loves dance, and takes a lot of pleasure in dance photography, and tries not to miss any opportunity to photograph dancers. Erdem Akkaya is a Turkish fashion photographer. His fashion photography portfolio is dominated by a slew of bold photographs and is one of the best fashion portfolio websites you would come across.His choice of unconventional backgrounds and outdoor settings against the popping colors of the apparels lend an appealing contrast to his photographs. You can also find some rather bright photographs, apparently meant for editorials perhaps taken in the confines of his studio. Gul started her career as a stylist at Harper’s Bazaar India, helping it make its mark on Indian shores. Whilst at the magazine, she worked with the top talents in the industry and photographers. Thereafter, she moved to Grazia India as a senior stylist, where she was responsible for overseeing the Delhi office. 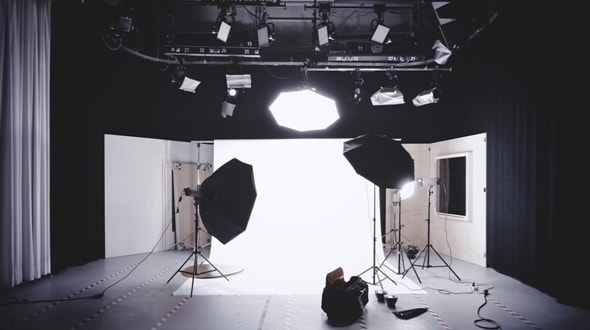 If you wish to find the right models for your photo shoots, here's a simple guide that'll help you.